Description: This tray is a real eye-catcher that looks great no matter what you do with it. The condition on this isn’t mint, there are a couple scratches, but overall it still displays really well and I’m so glad to have it. AntiqueBeerTrays now has a blog! I’m starting a blog on the main page here to provide new content on a regular basis. This blog should help you get to know more about me and let me share some of my finds and purchases as well as news and events about the hobby of collecting antique beer trays. I’d like to have some help eventually with this site although I’ll probably be the only one posting for a while. 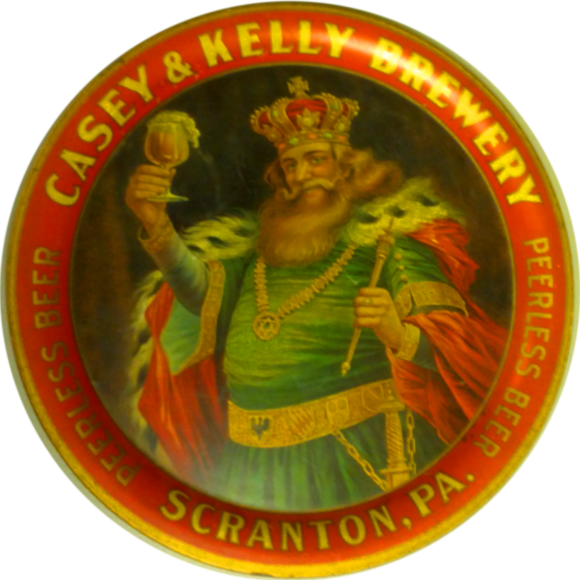 If you’re a beer tray collector, breweriana enthusiast, or just someone who knows a lot about brewing history and have articles or thoughts you would like to add then please contact me about being a contributor on the site, I do have some funds set aside for people with high quality content for the site.